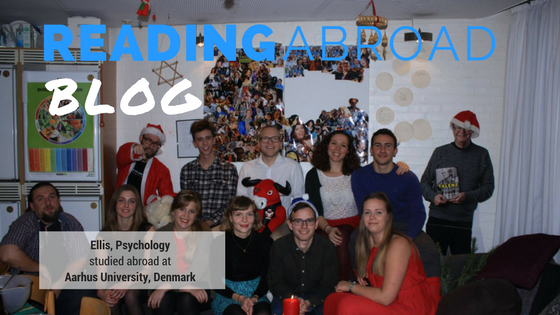 Ellis is studied abroad at Aarhus University in Denmark as part of his Psychology degree at Reading. Although Christmas seems a long time ago already, he looks back on the end of his semester abroad. My last month of studying abroad has been a whirlwind; as I approach the end of term and the holiday season, I’ve been overwhelmed by an array of social and academic activities. Christmas seemed to start early in Denmark, with the holiday season being marked by the release of the Christmas beer (which happens on the first day of November). From this point onwards, you could see the arrival of the Christmas market and can expect to receive invitations to traditional Danish Christmas dinners. I had no idea what to expect from a traditional Christmas dinner, all I was told is to bring my own dish and expect to get very drunk… At these dinners, there was an array of different foods: meatballs, pickled cabbage, fish, potatoes and breads, to name a few. For desert, it was a kind of rice pudding with a twist – in the large bowl of pudding was a single, whole almond. Whoever found the almond first would win a prize, but the only way to find the almond was to eat all the rice pudding. Everyone was desperately polishing of their plates and asking for another, keen to find this sacred almond – it was rather amusing! Another key feature of this tradition was ‘Schnapps’. This is a strong alcohol that everyone shots throughout the evening; by the end of the dinner everyone feels so bloated and drunk. But alas, the evening is not complete without playing different games and dancing off all the calories that have been consumed earlier. To sum it up, it was a fulfilling (mentally and physically) tradition, with plenty of laughter and some great company – which can only be described as ‘hygge’. As December arrived and the end of term approached, I was set all my university assignments. For each of my three classes I was required to write a 3000 word essay based on the material covered throughout the term. What I liked about these assignments was that the subject of the essay was relatively flexible – you could choose to write about whatever interested you most that term. This is something which I hadn’t previously been able to do in my degree, and I really liked this as it allowed you to develop your own interest further and come up with original and creative ideas. Although the end of term was a lot of fun, I was hit by one of the hardest things about studying abroad: saying goodbye. Over the past 4 months I had met the most amazing people and had unforgettable experiences that I’ll remember for the rest of my life. Facing reality and leaving it all behind was emotional. I knew that my friends were all going back to different parts of the world and that I wouldn’t be able to see them again as easily as just hoping on the number 13 bus. However, I found solace in the quote: ‘don’t cry because it’s over, smile because it happened’. 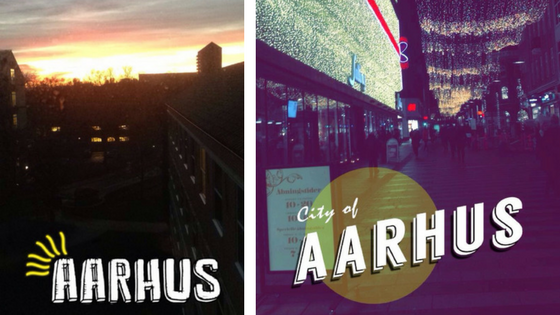 This entry was posted in Denmark Study Abroad and tagged 2016/7, Aarhus, Denmark, Erasmus, Europe, Semester Abroad, Study Abroad. Bookmark the permalink. Study in Europe on Already half way through!